For anyone committed to community service and helping those less fortunate themselves, there are few better times to honor this commitment than Martin Luther King Day. For one day each January, the United States honors the legacy of the famous activist with a federal holiday dedicated to service and volunteer activities across the nation. Martin Luther King Day offers millions of Americans the chance to help out in countless volunteer opportunities across the country, ranging from community clean-ups in Phoenix, Arizona, to feeding homeless people in New York City. But honoring Martin Luther King needn’t be restricted to the United States. Each year, tens of thousands of Americans volunteer in projects across the world. No matter where you are in the world, Martin Luther King Day offers the ideal opportunity to honor his memory by helping the less fortunate. Volunteering abroad can be a mind-opening experience. You will get to experience a different culture first-hand and get the chance to learn a new language, all while knowing you are making a very real difference to those who need your help. Volunteering abroad will make you a more well-rounded individual, and when the time comes for you to enter the professional world, any volunteer service will look great on your resume. This is one of the most rewarding volunteering projects you can undertake anywhere in Thailand. 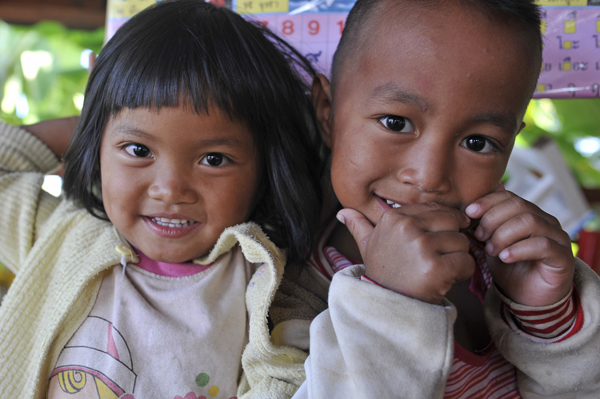 By working at a rural Chiang Mai Children’s Home you can truly dedicate yourself to helping these children. Typically, duties include helping children with homework, assisting with chores around the orphanage, and playing with children during free time. The children benefit on a number of levels. Just by spending time with them you will be enriching their lives, while also giving them the chance to learn English from a native English speaker. A unique opportunity to enrich the lives of at-risk mothers and their children in Thailand’s capital. While Thailand is continuing to develop and prosper at an astonishing pace, many disadvantaged people are still being left behind — especially in this populous and sprawling metropolis. Young women from broken homes and abusive backgrounds come here from all around Thailand. As a volunteer, you will help enrich their lives through a variety of activities, including helping with their children, education, professional development, and more. Ideal for those looking looking to experience the real Thailand while gaining teaching and volunteer experience. Volunteers work with Thai teachers to plan and deliver fun and engaging English lessons, and can even lead classes on their own teaching kids anywhere between kindergarten and Grade 12. All volunteer schools are located outside Chiang Mai city, so it’s a great way to experience a real slice of rural life in Thailand. Please visit our Low-Cost / Rural Schools Project page for more info. If you are interested in honoring the legacy of Martin Luther King in Thailand, or a range of other exciting locations around Asia, Friends For Asia offers a range of unique and rewarding opportunities. Please visit our projects page to view these different program opportunities.